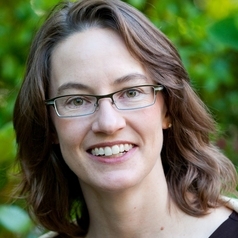 Professor Barnhart is an Associate Professor of Marketing at Oregon State University. She earned her Ph.D. in Business Administration from the University of Utah and her Bachelor’s degree in Biology from Stanford University. Her research focuses on cultural norms, social groups, and individual identity as manifest in consumption activities. She has previously investigated these topics in the contexts of American consumers’ use of credit and debt, the provision of eldercare, ethical consumption, and employee wellness programs. Her current research explores the ways Americans use and respond to firearms. Her research has been published in the Journal of Consumer Research, the Journal of Business Research, the Journal of Marketing Management, the Journal of Macromarketing, and the Journal of the Association of Consumer Research. In addition, her work has been reported in media outlets including US News & World Report, Yahoo News, The Huffington Post, The Chicago Tribune, MSN Money, Live Science, and others.